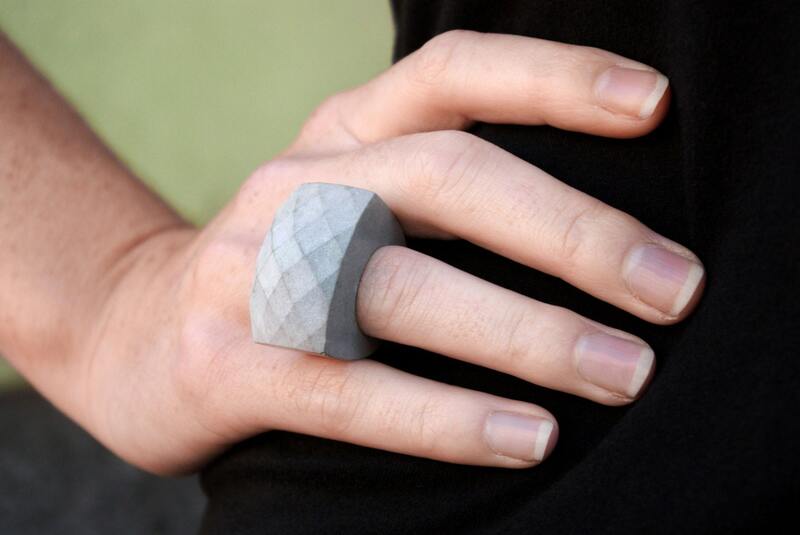 This unique ring is solid concrete with a rounded back and a faceted front. A minimalist piece that can be worn on diverse occasions. The fit is equivalent to a UK L ring size, US size 6 or EU 51 1/2 which is a medium size suitable for most. Normally seen as a heavy and rough material, this jewelry is light, smooth and wonderful to wear. 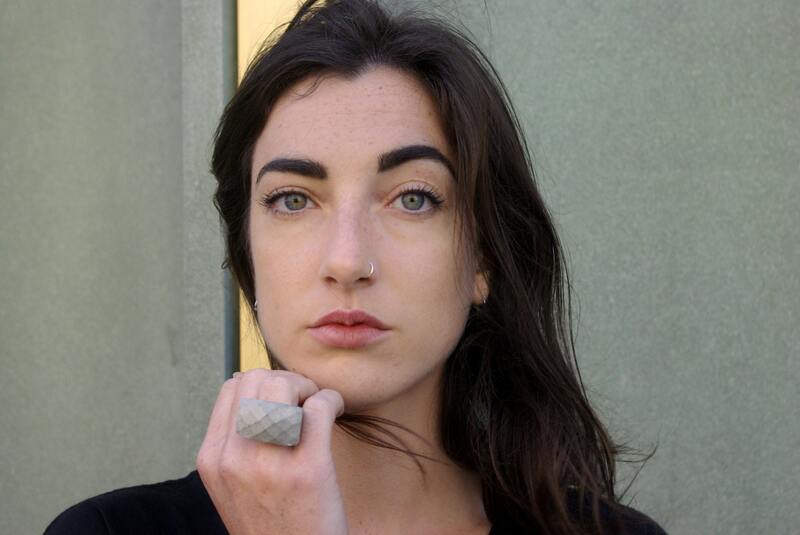 Concrete pieces are very unusual and make fantastic statement pieces.It is this contrast between the traditional use of concrete and being able to create delicate pieces that inspired me to work with the material. As with all handmade jewelry, every piece is slightly different, with some natural marks, making it truly one of a kind. Bespoke pieces are always possible - please contact me for a quote.